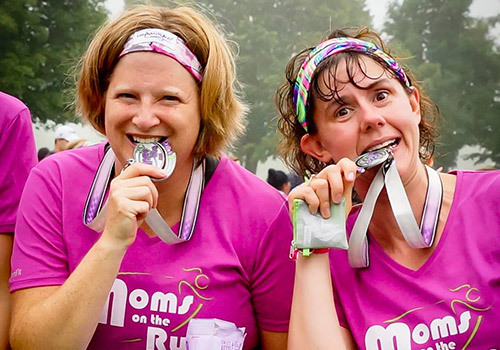 Each year our 18 Week Signature Training Program culminates with a fun, family friendly race. If you can't make the event, you can still celebrate with us by participating in our Virtual Run. 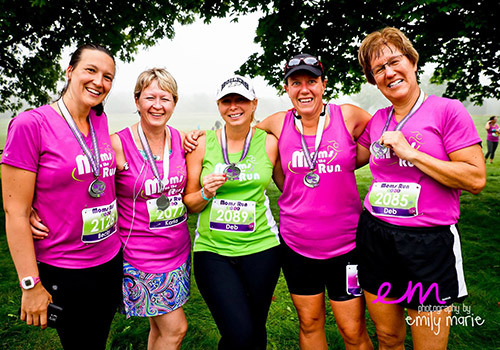 Sign up today and choose your distance - either 5k or 10k, and then go for your run any time through September. Your package includes our race shirt in the popular lifestyle performance tee, a race bib, and race medal. Register today to reserve your spot! To help you plan your route from anywhere, Gold sponsor FASTZach is the perfect app. Learn more here. Register by 8/3/2019 to get a customized race bib with your name and distance printed on the bib. Purchase a Virtual Run Package -coming soon! Let your Kid on the Run participate too! 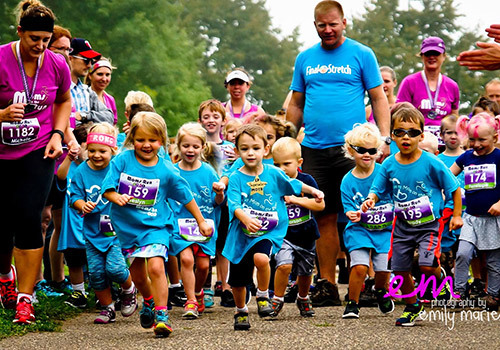 Purchase a kid's package and receive a turquoise kids technical shirt, race medal and customized race bib. Purchase a Kids Run Package Now!